Are you one of those people that can never seem to make it anywhere on time? 1. You don’t really care if you are late. I know that sounds harsh, but if you cared you are always late, you would do everything possible not to be late. Possibly you know people expect you to be late, so you know, in your mind, you have that option. 2. You think you have more time than you do. You try to squeeze one more thing in before you go. 3. You are unrealistic about how much time it takes for you to get out the door or how long it takes to get to where you are going. 4. You are not paying attention. You get distracted without realizing you are distracted. So, here is how to be more consistent about being on time. 1. Care. Again, sounds a little harsh and silly, but start caring whether you are on time or not. 3. Time how long it takes you to get out the door. Most of us have a typical routine that can be easily timed. Know how much time that is and work backwards. What time do you need to get out the door to get to where you want to be? What has to be done between now and the time you leave? How long is that going to take? Be honest with yourself about the time it takes. If it takes you an hour to get out the door, then don’t pretend otherwise. If your routine includes letting the dog out before you go, making the beds, getting a load of wash in the washer, then include that in getting out the door time. Also, plan some wiggle room. Plan for those unexpected, but inevitable interruptions. 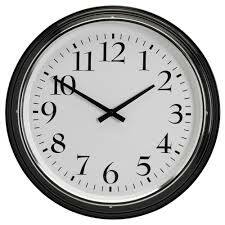 Plan a few minutes into your time schedule so you will be much less stressed when those unavoidable situations arise. 4. Pay attention; when you see you are getting distracted, write down what you are distracted by so you can come back and do it later, then go about your business of getting out the door. When you know you have to be somewhere, set a timer for 10 minutes before you need to leave the house. Let me know other reasons you are always late. Maybe we can put our heads together on a strategy to help you be more on time.